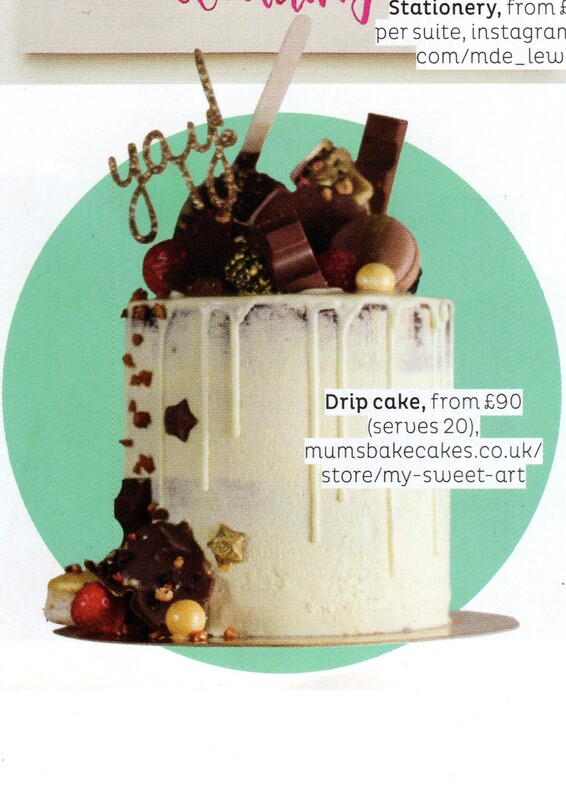 Being in The Brides Magazine for Mums Bake Cakes is establishing the business as The place to go to look for cakes online. Historically MumsBakeCakes has been marketed as the company for arranging tasty treats like cupcakes and cookies for friends and family far away. This has proved very successful for Expats who have family in the UK, where they can make a gift bespoke by adapting the cakes to the favourite flavour or colour scheme to suit the recipient. The UK has also embraced this message with cupcakes and cookies being delivered to families who live far apart either as gifts or just because!- created locally and delivered by hand by the baker who made it- is truly taking the UK to heart. The nature of the business model- ensures that NO 2 cakes are ever the same- Homemade and delivered by hand. All bakers have been checked by Mums Bake Cakes and are registered and comply with UK food hygiene legislation. The leap into the Wedding Cake market has delighted the bakers as their skills are being recognised across the UK. BY offering tasting sessions and using their expertise they are able to create stunning masterpeices all bespoke and tailored to the Bride and Groom. May we wish all our Brides and Grooms the best for their up and coming weddings and please enjoy the delightful cakes our bakers create.